The Nike ACG Mowabb made its long-awaited return not too long ago, but ended up fizzling out due to a higher than expected price tag. 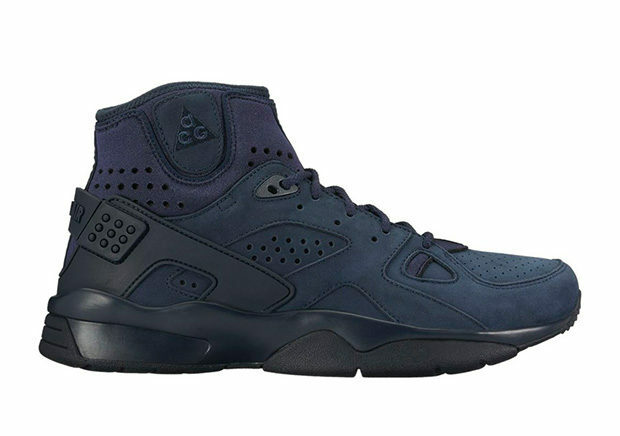 That doesn’t mean that Nike Sportswear is done tinkering with the legendary trail model from their All Conditions Gear imprint, as today we get a look at an upcoming “Dark Obsidian” Nike ACG Air Mowabb colorway. There’s not too much information about the release other than the fact that Nike’s bringing a premium suede upper to the Tinker Hatfield-designed model along with added perforations throughout. The overall look gives the 90s classic a lifestyle twist that’s sure to be a hit once it arrives at retailers. What do you think of the look? Stay tuned for more updates in the near future and head over to our release dates page for more of the latest and greatest.